Donald Trump the US President has promised not to bring back the disputed practice of separating children from families of undocumented migrants. However, he praised the tactic as being effective. “We’re not looking to do it,” he told reporters at the White House. 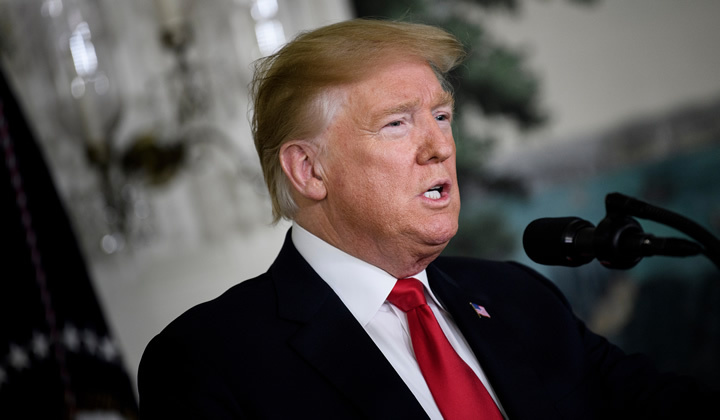 But Trump added that the practice, which has seen small children removed from their parents while their asylum or immigration status is examined, had successfully slowed the influx of people seeking to cross undocumented over the US-Mexican border. “I’ll tell you something: once you don’t have it, that’s why you have many more people coming. They are coming like it’s a picnic, like ‘let’s go to Disney Land,'” Trump said of migrants and asylum seekers. Trump’s battle to prevent illegal immigration has turned into the biggest political fight in the country ahead of next year’s presidential election. The Republican is pushing hard for construction of hundreds of miles of new border walls. He says that the United States is “full” and cannot take any more migrants or even people fleeing violence in Central America. However, his comments on child separations reflected the confused nature of the White House’s messaging on the sensitive immigration issue. Trump claimed that he never wanted children to be taken away from their parents when they crossed the border illegally or sought asylum. Instead, he blamed this on his Democratic predecessor Barack Obama. “Just so you understand, President Obama separated the children. Those cages that were shown — I think they were very inappropriate — were by President Obama’s administration, not by Trump. President Obama had child separation,” Trump said. “You know it. We all know it. I’m the one who stopped it,” he said. Obama did crack down on illegal immigration, resulting in large numbers of deportations and children were detained along with their parents. However, Trump hugely accelerated the tough measures with a so-called zero-tolerance policy. This meant that anyone crossing illegally would face automatic prosecution, leading to the jailing of adults and immediate separation of any children. Before, families with children were largely allowed to stay together, whether on bail, in custody or being deported. Trump administration officials indicated that the strict new approach deterred many would-be migrants from even trying to enter the country. By the time Trump’s policy was halted under political and legal pressure in June 2018, thousands of children had been removed and placed in temporary accommodations, leading to harrowing images and reports of administrative chaos in which parents were later unable to find their children.